I’ve only been on WordPress a handful of weeks, and I’m already wanting to change the header. 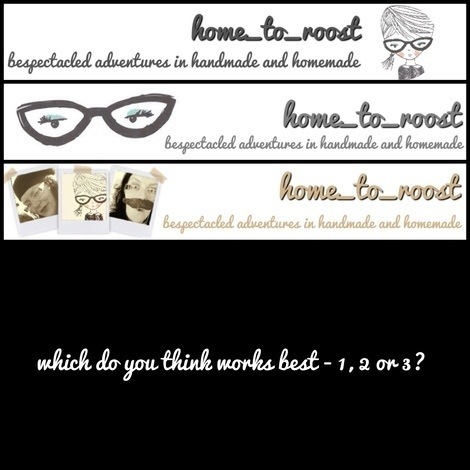 I’ve come up with three header options, but can’t decide which I like. Could you please advise? Which one of the three do you think would work best? Please vote and put me out of my header headache, thank you! Number 1 for me too! As Maxabella says, that little winking drawing of you is so cute! I want one! I’m the same as maxabella. I like number one but the colour of number 3 really suit your theme. I love the drawing of you.